There are a number of visas that you may be eligible for if you wish to live and work in the UK. While some are long term, others are only valid for short periods of time. 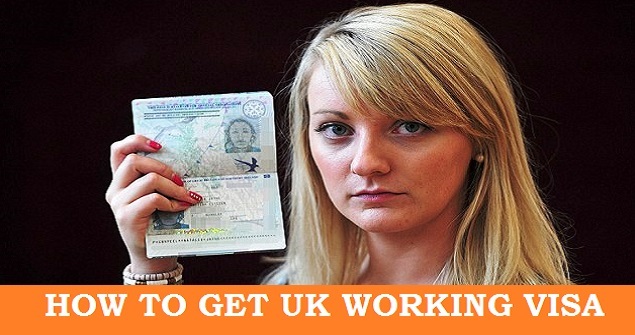 Here is your guide how to get UK working visa, so that you can see which of the options best suits your needs. The Tier 1 working visa category is based on a points system. Although candidates do not need to have any particular skills in order to be able to apply, they must receive at least 75 points under the assessment criteria. These points will be awarded for experience, qualifications, age and previous earnings as well as ability with the English language. Successful applicants must also be able to prove that they can provide for themselves financially. To apply for this visa, there is no need to already have an offer of employment from a UK company. If you already have an offer of employment from a UK company, you are eligible to apply for a skilled worker permit or Tier 2 visa. There are many employment types covered by this visa including those who are moving to an international branch of their firm, sportsmen and women and religious ministers. Applicants must be sponsored by their potential employer but must still score a minimum of 50 points under the qualification system. Extra points are awarded for excellence in the English language and for the amount of money you are likely to be able to earn. This visa is available to those who wish to come to the UK on a temporary basis in order to carry out low skilled or entry level work. Under this visa, you must be coming from a country which already has a returns arrangement in place with the UK. To apply, you must already have an offer of employment with a UK company and be able to provide the necessary certificate of sponsorship as evidence for your application. There is no need to be fluent in English if you apply for this visa; however this may be of benefit and may also be a requirement of your employment. If you are granted this visa, you must be aware that you are not able to bring any dependents or family members with you to the UK and that you must return home after a period of no more than 12 months. There is no means of extending this visa into a permanent residency or an indefinite leave to remain. If you are coming to the UK as a student, your visa will enable you to work on a limited basis too in order to support yourself during your studies. In order to apply, you will need a firm offer of a course place from a UK university as they will be your sponsor. If you are successful, you will be permitted to undertake employment for up to 20 hours per week and during vacations, you are entitled to take full time employment. This visa type allows you to bring dependents into the country with you. People from New Zealand, Australia, Japan or Canada aged between 18 and 31 and traveling under a youth mobility scheme. This visa lasts up to 2 years, but requires a minimum of 50 points. Places are also limited.